The school district’s move to leave the state health insurance plan in the 2018-19 school year to run a self-insurance program will save $61 million over a three-year period, according to school officials. Under the self-insurance program, district employees will see $15.8 million in savings from decreased contributions during that same period, according to the school district. Business administrator Richard Matthews proposed leaving the state plan for a self-insurance program late last year to balance the district’s budget. 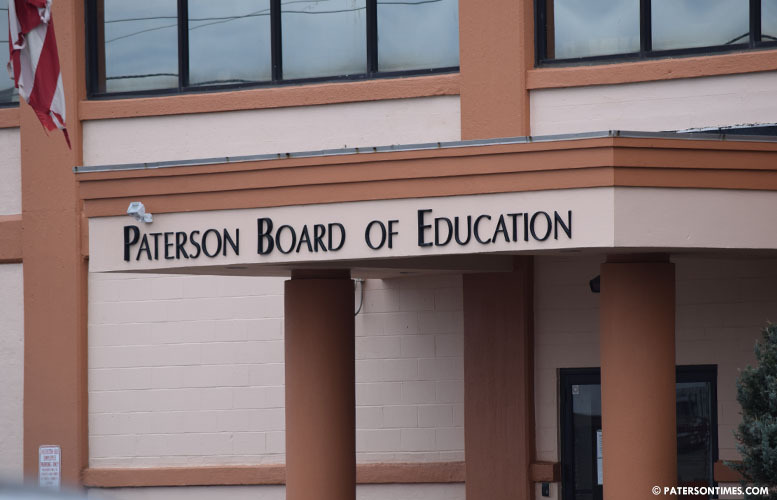 Matthews’ proposal was immediately opposed by the Paterson Education Association, the more than 3,000-member strong teachers’ union. On Tuesday afternoon, John McEntee, Jr., president of the teachers’ union, said his opinion has not changed on the switch. “For me to say those numbers are accurate – I’m not an actuary,” said McEntee. He pointed to the runaway train that is the city’s self-insurance program which saw cost spike by 80-percent – from $29 million in 2010 to $52.5 million in 2017 – in seven years. Municipal officials relied on a consultant’s report that showed savings that never materialized. The city, in hopes of controlling spiraling health care costs, is looking to switch to the state plan at the end of this year. Most of its newly negotiated labor contracts include a clause that allows the city to switch to the state plan, according to municipal officials. Matthews last year said other big districts like Jersey City and Newark pay far less for health insurance than Paterson schools. He said at the time the insurance line would climb to $93 million in 2018-19, up from $87 million this year. School board member Flavio Rivera, chairman of the fiscal committee, said the district can switch back to the state plan if the savings do not materialize. “I think it’s going to be very problematic,” McEntee. He worries about the disruption the switch will likely cause. He said when the district switched prescription cards for employees, he fielded more than 200 phone calls. The district has sent a letter to the union informing it of the impending switch. Superintendent Eileen Shafer late last month said the district is making the switch in the upcoming school year. School officials said the self-insurance program will provide “equal to or better” medical coverage for employees. The school district has 3,700 employees, according to payroll records. “I know it’s coming. I understand there’s very little we can do to stop that train. We can fight to protect that the level of benefit remains the same. That’s what we’re gearing up to do,” said McEntee. McEntee hopes the district does not wait until the last minute to make the transition. “I hope they have a plan in place to make sure it’s going to be a smooth transition,” he said. He worries a switch in the middle of summer could create problems with district employees away on vacation. Even a smooth transition gives rise to issues that have to be ironed out, he said.